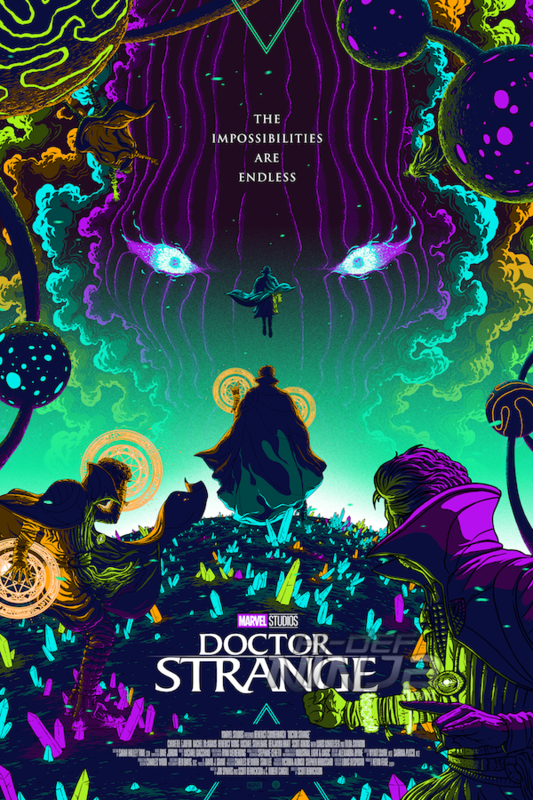 Grey Matter Art, under license from Marvel, is proud to announce a new officially licensed, limited edition, screen-print featuring the 2016 film, “Doctor Strange” by artist by Florey. 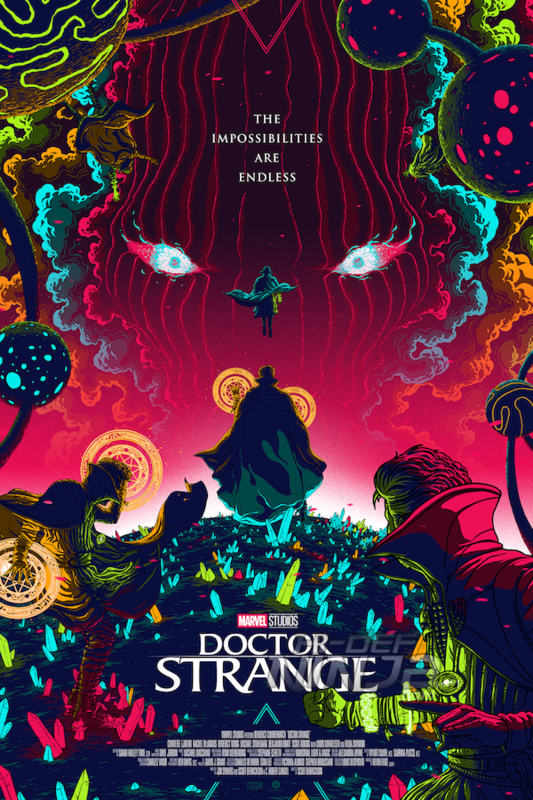 Created by Steve Ditko and writer, Stan Lee, Dr. Strange first appeared in Strange Tales #110 in July 1963 and appeared in two more issues before receiving his own origin story in Strange Tales #115 in December 1963. Below are details regarding the poster and release information. This poster goes on Thursday, August 2nd at 1 PM EST sale on their Website.